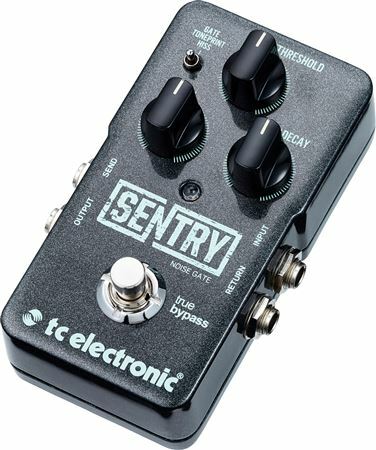 Shop TC Electronic Sentry Noise Gate Pedal from AMS with 0% Interest Payment Plans and Free Shipping. 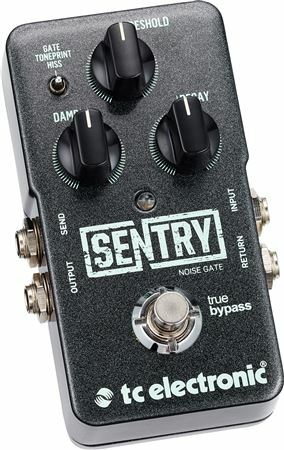 Simple to use, the Sentry Noise Gate is the perfect guitarist’s gateway to a noise-free and fully dynamic performance. 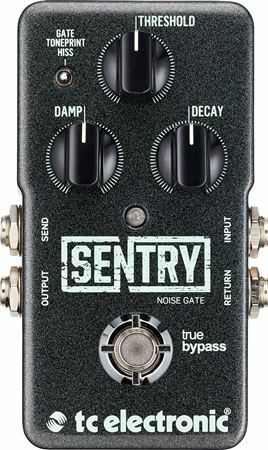 Adding to TC Electronic’s successful line of TonePrint pedals, Sentry Noise Gate features cutting-edge multiband technology based on the same algorithms as featured in System 6000; TC’s definitive studio processing powerhouse. The pedal also features a classic hard-gate mode along with a loop Send/Return for silencing noisy pedals/amps all without cutting out dynamics or feel. This can even be used for creative sidechaining, so the gate can be in precise sync with other signals. With endless gating options available through TonePrint, including limitless customization via the TonePrint editor, Sentry Noise Gate has the finest and most flexible noise reduction engine compared to any other pedal on the market. Didn’t take long to dial it in, helped remove feedback from cranked overdrive.